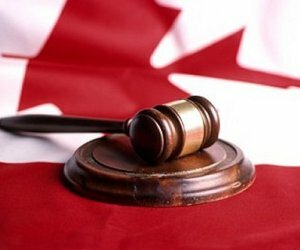 Canada is one of four countries where loopholes in the law make it easy for corruption in the real estate markets according to a new report. Transparency International analyzed Canada, along with the US, UK, and Australia; and found several weaknesses in regulations and laws which allow money laundering and other issues related to luxury property. The study says that none of the four jurisdictions are meeting international monitoring obligations for anti-money laundering while only the UK requires professionals including real estate agents and lawyers to identify the beneficial owners of real estate as part of due diligence procedures. That means that trusts and other legal entities can purchase real estate without an actual person being identified. Furthermore, foreign companies can purchase real estate without providing details of their real owners, except in Australia but even then, not in relation to money laundering. There is also an over-reliance on financial institutions carrying out money laundering checks for real estate transactions. This varies across the four jurisdictions but can mean that cash purchases do not have the same level of monitoring. Even where there are requirements on real estate professionals to conduct anti-money laundering checks, compliance and enforcement is often weak and Transparency International also found that none of the four jurisdictions has a “fit and proper” test for professionals working in real estate. Transparency International Canada says that almost half of the 100 most expensive homes in Greater Vancouver are held by entities that hide their beneficial owners.